Assume a uniform discount rate of 10%. 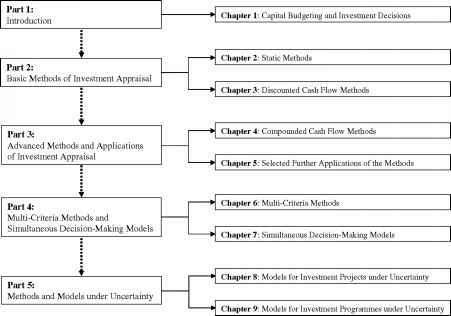 Assess the absolute and relative profitability of the projects using the net present value method. b) There is now an opportunity to invest in project B at time t = 1. A €15,000 reduction of the initial outlay compared to the realisation at t = 0 is expected. All other data given in part a) of this exercise remain unchanged. b1) What is the optimum investment policy now? (Support the finding with appropriate calculations.) b2) Which assumption in the basic net present value method is no longer valid? b3) How can this expanded decision problem b) be solved using the VoFI method (brief description)?